The best pools to swim are certainly indoor olympic pools. Looking for Outdoor Pools in Michigan? A lot of of them belong to gyms or sport centers which also present lessons. Thanks to some new Pools submitted every day, Swimia.com is increasing daily the number of stored pools. Please don't hesitate to contact us for those who uncover any inaccurate or incomplete facts. If you are visiting Michigan make sure you know the rules and regulation for swimming as they may not be the same as inside your household town. Are you on holiday and want to hold fit and healthy? 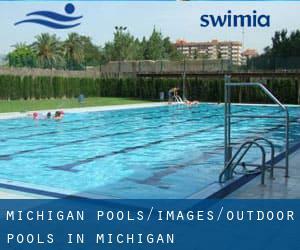 Swimia.com offers you the uncomplicated and quickest technique to find pool near Michigan. Please check the nearest Outdoor Pools in Michigan or Contact us to ADD IT. It is free! Without a shadow of a doubt, swimming in Ann Arbor could be the best way to unwind soon after work. 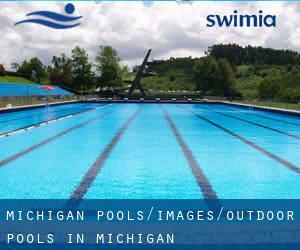 Take a couple of minutes to browse Swimia's catalog to find a Swimming Pool in Ann Arbor. Whereas Detroit is one of the six most populous cities in Michigan with nearly 713.777 residents, you shouldn't miss that one if you're going to Michigan. Let us tell you a secret to switch off while you're in Grand Rapids: just opt for a Swimming Pool in Grand Rapids and plunge into the water! There's no more effective method. It's difficult to visit Michigan devoid of dropping by Warren (with 134.056 residents). Currently Swimia is showing you all the Pool in Warren along with the closest pools situated in its vicinity. Swimming is a exceptional idea to help keep your body active during your visit to Sterling Heights (Michigan), or perhaps if you are a local. Swimia helps you to discover your closest Swimming Pool in Sterling Heights. Holding an estimated population of 114.297, Lansing is one of the most important cities in Michigan. Check all of the Pool in Lansing and its surrounding area. 2900 Hannah Blvd. , East Lansing , MI , USA (Postal Code: 48824). This great and large sports center lets professional swimmers like you enjoy 25 meters, 6 lanes, Indoors. Additionally, within these facilities you can try 25 yards, 6 lanes, Indoor/Outdoor. Phone number and e-mail address are number for this Swimming Pool. Updated on 2019 2470 Old Bridge Rd. , Bay City , MI , USA (Postal Code: 48706). Swimmers like you reported 58 feet x 28 feet, Outdoors. Unfortunately we do not have the email address of this Swimming Pool, but we can provide you with the phone number. 6343 Farmington Rd. , West Bloomfield , MI , USA (Postal Code: 48322). Among all of the activities provided by the center, should you be keen on swimming you will enjoy 25 meters, 8 lap lanes, Indoor/Outdoor. Just in case you would like to contact this Pool before dropping by, we only know the phone number. 42500 Arena Drive , Novi , MI , USA (Postal Code: 48375). This sports center offers 25 meters, 8 lap lanes, Indoor/Outdoor. For this Swimming Pool, only phone number is number here. Updated on 2019 1 Shanty Creek Rd. , Bellaire , MI , USA (Postal Code: 49615). Few days ago a common user of this center told us they offer 20 yards, Indoors. Furthermore, they keep in good conditions 20 yards, Outdoors. For this Swimming Pool, only phone number is number here.